ART ELEMENTS: USE YOUR STASH CHALLENGE! I sign up for challenges quite often as a way to find my thing. I haven't found it yet, but I will keep creating things until I do. Earlier this summer my youngest son was hospitalized for 27 days with an unknown virus. I took various bead projects to pass the time at his bedside. However, I couldn't bead. All I could do was watch the stat screen and jump at every distressing beep or alarm. My son is out of the hospital, but required constant care after his hospital stay. Needless to say, I lost my bead mojo. I managed to complete this challenge, but I am just not feeling the joy of a completed project. But, here is what I made with one of the two components I received for this challenge. The components were made by Lesley Watt. The cuff is based on one made by Ann Benson Beading, Etsy. Trying something new, but need to re-engineer my idea. Came home from shopping with my husband and youngest child, only to find fire and rescue trucks in front of our house and main drive. There were also tow trucks and a crane. 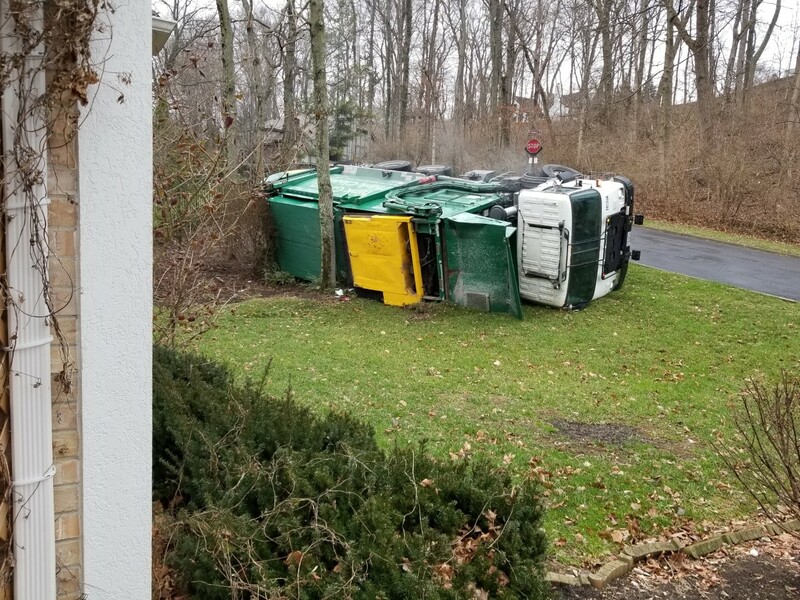 The biggest surprise was the overturned 3000+ pound garbage truck in our front yard. 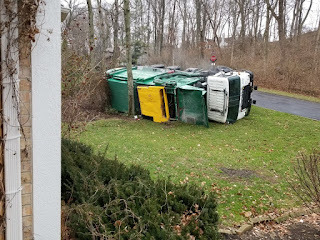 The truck managed to hit the power and cable/phone boxes and messed up the front yard. The smell is awful when the weather is warm, but repairs should be completed sometime this spring.